The CNY CEO’s Luncheon held on February 21, 2019 was attended by more than 70 heads of DSAM Member Companies. 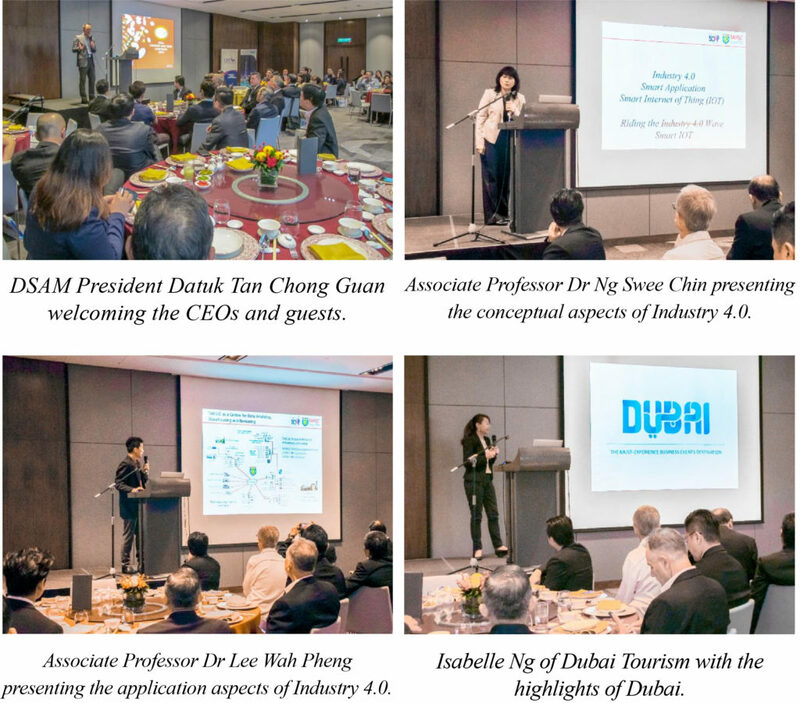 During the luncheon, Associate Professors Dr Ng Swee Chin and Dr Lee Wah Pheng of Tunku Abdul Rahman University College presented on the topic of Industry 4.0 which was based on their in-depth knowledge, experiences, studies and implementations with the government and private sectors. The presentations were insightful while providing a general perspective on the progress and application of Industry 4.0. Dubai Tourism was next to present on the facilities and benefits of choosing Dubai as an incentive destination. DSAM takes this opportunity to thank Dubai Tourism for sponsoring this CNY CEOs Luncheon.